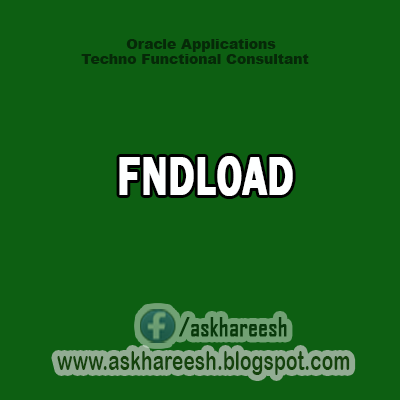 The Generic Loader (FNDLOAD) is a concurrent program that can transfer Oracle Application entity data between database and text file. The loader reads a configuration file to determine which entity to access. In simple words FNDLOAD is used to transfer entity data from one instance/database to other. For example if you want to move a concurrent program/menu/value sets developed in DEVELOPMENT instance to PRODUCTION instance you can use this command.